A Texas school district fired the campus police officer caught on tape allegedly body slamming a 12-year-old girl. They cited inconsistencies between the officer’s report of the incident and a 30-second cellphone video which captured it. Meanwhile, the purported victim appeared to brag about her newfound fame and fortune over social media following a national news appearance related to the incident. The San Antonio Independent School District announced Monday, April 11, they terminated Officer Joshua Kehm amid an ongoing investigation into a possible case of excessive force that surfaced April 5 in a video posted on YouTube. Breitbart Texas reported on the footage of the officer seemingly struggling with sixth grade Rhodes Middle School student Janissa Valdez before purportedly throwing her face down to the ground. The incident occurred on March 29. 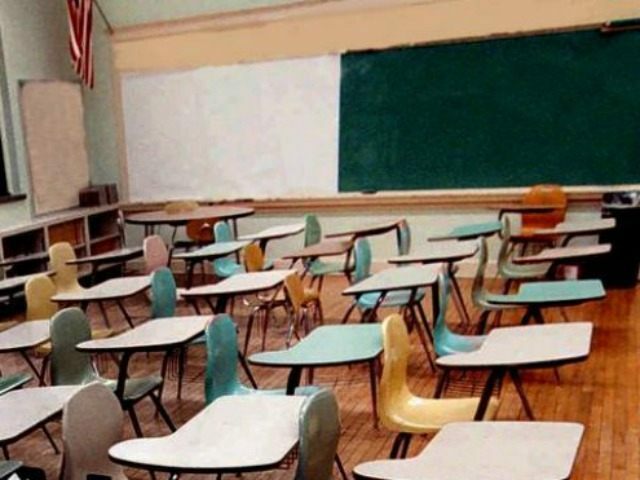 “As educators, it is our responsibility to provide a safe environment for all of our students,” said San Antonio ISD Superintendent Pedro Martinez. “We understand that situations can sometimes escalate to the point of requiring a physical response; however, in this situation we believe that the extent of the response was absolutely unwarranted. Additionally, the officer’s report was inconsistent with the video and it was also delayed, which is not in accordance with the general operating procedures of the police department. We want to be clear that we will not tolerate this behavior.” Martinez said. The school district added that the investigation continues as they work to determine any other necessary actions in response to the incident. In a statement, the district noted it decided to refer the law enforcement portion of the investigation to a third party law enforcement agency. “We recognize the high level of emotion generated by this incident, and we want to ensure the public’s trust in this investigation, that it is being conducted without any perception of bias,” Martinez said. Martinez told the San Antonio Express-News the decision to terminate Kehm was the result of what the district considered an unwarranted use of force and the officer’s failure to report the incident as required by district protocol. He also said Kehm’s report called it an accidental fall. Following the incident, Valdez served two days of suspension. Online, some people questioned her behavior and motives, one even implied the $400 was a media fee. Others supported the officer.